Chrome plated brass with ceramic disc. Working pressure 0.5-6.0 bar. Includes 2 x tap tails. Height as fitted 133mm. 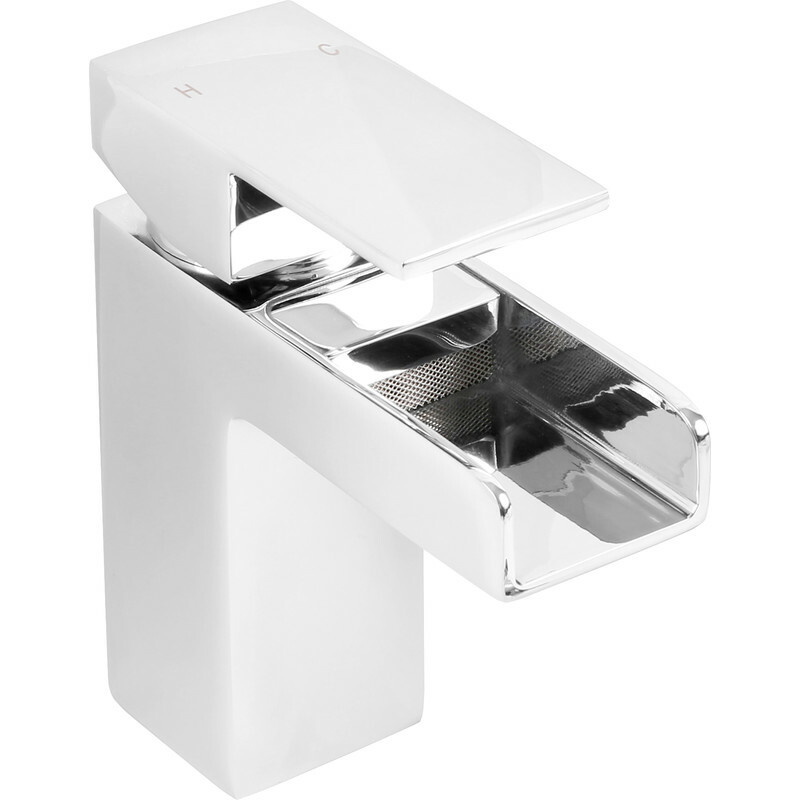 Constantine Mono Basin Mixer Tap is rated 4.4 out of 5 by 8. Rated 1 out of 5 by lamp lighter from waste of space two days and the body of the tap fractured ,complete and utter rubbish. Rated 5 out of 5 by Ken 56 from Visual impressive tap This tap is a talking point with visitors. Rated 4 out of 5 by Sebby from Nice Quality. Warning: comes with pop up waste. Good quality taps and fittings however Toolstation don't mention that it comes with a pop up waste so I bought one separately and fitted it before realising. Now it's too late to return it. I see an earlier review mentioned this 3 months earlier and still there is no mention in the catalogue. Rated 5 out of 5 by Roddie1952 from Stylish waterfall basin tap I bought this this to replace a a leaking basin tap in my daughter's house. She is very pleased with it and it does look good. Great value when compared with competitor's offerings. The tap comes with flexible tails making fitting simple. What is not in the description is that the tap also comes with a spring plug waste. I wish it had as it would avoided the need for my return visit for a refund on the one I had bought! Rated 5 out of 5 by central from great bathroom tap I bough one a while back for my bathroom.works and looks great great Quality and price. I needed a tap for my downstairs bathroom recently so I had no hesitation but to buy the same tap.